Is a visit to your optician in order? Or have you taken Gandhi ji's teen bandar too seriously? 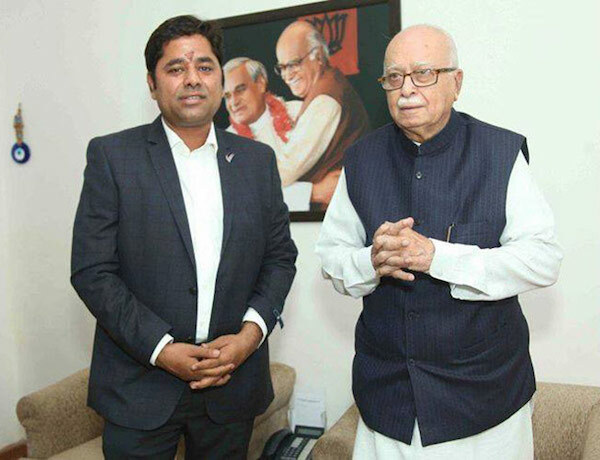 I ask this because, despite mounting evidence (we're talking photographs here) against lawyer Vikram Singh Chauhan for attacking JNU students on Monday, and JNUSU president Kanhaiya Kumar in Patiala Court Complex on Wednesday, Delhi Police refuses to arrest him. Instead, your team has filed an FIR against 'unknown' persons for yesterday's shocking attack. If all of this evidence wasn't enough to satiate you, let's not forget that Mr Chauhan, in an interview with India Today, openly declared that he did attack students and professors on JNU campus. He further stated that he actually sent out proper invites to ABVP members to come and disrupt proceedings at Patiala House Court. 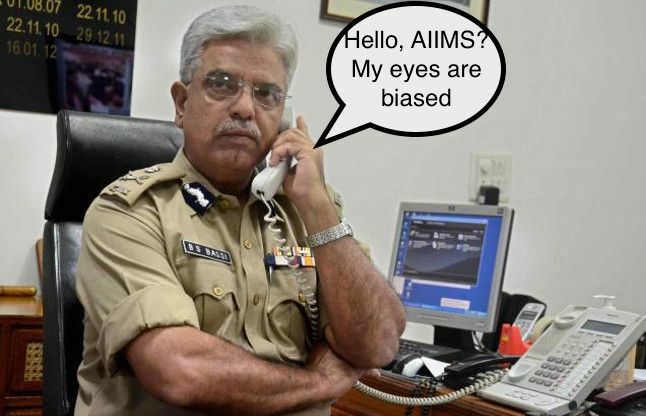 And what did you, dear ex-Delhi Police Chief, do in retaliation? Nothing. Nada. Zilch. Your greatest action in all of this has been inaction. Inaction to the point of not even questioning the guy. But for a second, let me give you the benefit of doubt. Perhaps, like the rest of us, your boss' word is golden? 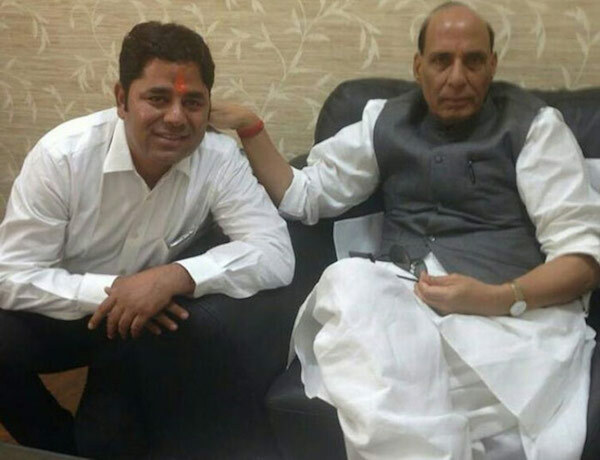 This boss, though, none other than the honourable Home Minister Rajnath Singh, has stated that Jamaat-ud-Dawah chief and Pakistan-based 26/11 Mumbai terror attacks mastermind, Hafiz Saeed, was behind the ongoing protests in Jawaharlal Nehru University. Wait, what? 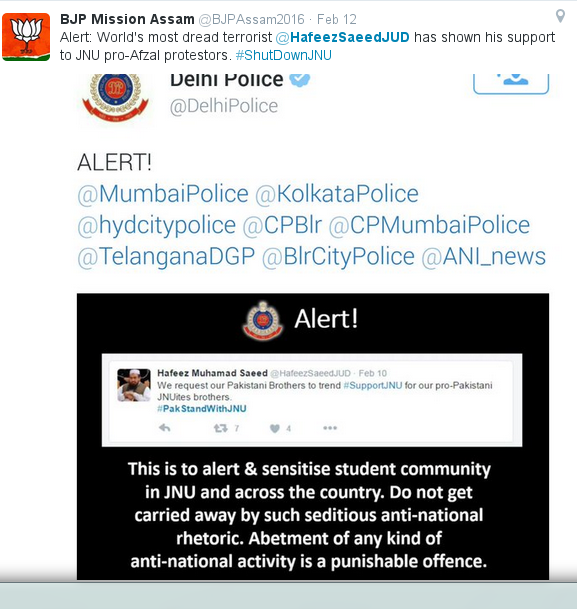 Rajnath Singh ji based his conclusion on a tweet assumed to be Hafiz Saeed's. Unsurprisingly, it turned out a fake. But wait, so this means Delhi Police might consider tweets evidence. Right? Right? Great. So let me take the liberty to post this picture tweeted by witnesses from the court compound. 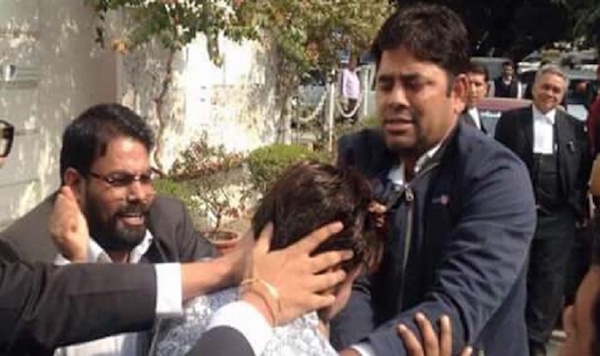 And it clearly shows Vikram Singh Chauhan assaulting Kanhaiya Kumar. Huh, what's that you're saying? It is not good enough? Okay. Maybe a refresher brought to you by NDTV reporter Sonal Mehrotra, would help: Open Letter To Police Chief Bassi From An Assaulted Reporter. Chauhan, this man that you so generously protect, had apparently offered to break Sonal's bones. But really, we're more concerned for your eyesight more than anything else. If you face difficulty reading this letter, please fix an appointment at AIIMS. Once the fatter pair of snazzy eyewear is in place, kindly look through all the photographic and above mentioned evidence against Vikram Singh Chauhan. And please, do take the necessary action. An Indian with eyes and ears.